KATIN ENGINEERING CONSULTING is authorized by EPA to train and certify freon technicians. Training is practical with direct application to refrigeration plants. All technicians that have taken our training passed the EPA test on core knowledge and 90% passed with high enough scores to be certified. Attendees are tested in Core (or basic) knowledge and in addition, can elect to be tested in Type 1 Small Appliances, Type 2 High Pressure, and/or Type 3 Low Pressure. Provided training and certification to Brooks Automation, a cryogenic equipment and supplies manufacturing plant. Provided training and certification to Western Cooling Efficiency Center at UC Davis, to allow them to be in compliance with U. S. EPA regulations when their staff conducts research to stimulate the development of cooling technologies that can reduce energy demand, and water consumption in buildings. Provided training and certification to the Veterans Administration (VA) facility at Poplar Bluff, to allow them to be in compliance with U. S. EPA regulations when their staff conducts operation and maintenance of HVAC and refrigeration systems onsite. Provided Knorr Brake Corporation the HVAC training they required to expand their capabilities and overhauling train air conditioning systems. 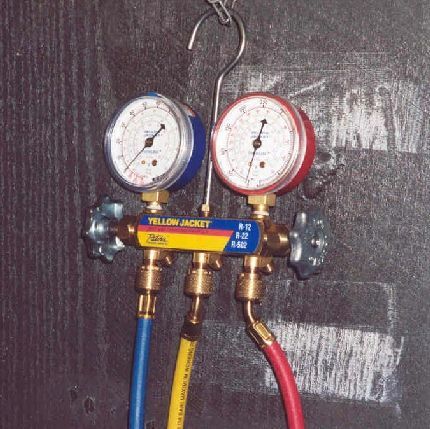 Since EPA requires personnel who operate and maintain equipment containing freon to be trained and certified, we provided such clear training that after which, 100% of their technicians tested became EPA certified to handle freon. Trained technicians at landfills to properly remove freon from appliances. Trained technicians at the Presidio of Monterey to properly remove freon from appliances. Trained 45 Dow Chemical operators in the operation of refrigeration systems at Pittsburg, California, including: R-22 system at three different plants and the R-134A system at a fourth plant. Developed and delivered training for a crew of 36 in proper operation and maintenance of absorptive refrigeration plant to liquefy agricultural grade ammonia in the ammonia plant at Monsanto Chemical. Trained 50 technicians in the proper operation and maintenance of R-11, R-12, and R-113 freon compressive refrigeration plants used to maintain air conditioning, refrigerators, and freezer onboard nuclear powered submarines.